What an ignominious end for a political party which only a couple of years ago seemed to be dictating the rhythm of British politics and the headlines of our newspapers. But after a slew of leadership changes, cringeworthy scandals and bizarre disciplinary issues it seems pretty clear that there is nothing now left worth salvaging. 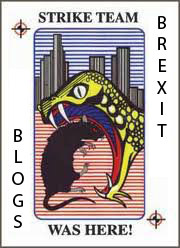 Several of the party’s remaining senior figures (none really warrant the title “big beast”) have resigned from the party following leader Henry Bolton’s refusal to immediately stand down after a unanimous vote of no confidence in his leadership, and everyone else may as well just follow suit and cut up their membership cards because there is no positive outcome to be had. Either Bolton tries to cling on until UKIP becomes a party of one, or he goes and makes room for another nonentity aboard the party leadership carousel. Political parties drift when they lack any kind of unifying purpose or positive vision (though sometimes a strongly negative, reactionary position will do just as well in a pinch). We saw this with Jeremy Corbyn’s takeover of the Labour Party when the centrist “moderates” were found to believe in nothing and stand for nothing, and we see it now in the Tory Party as Theresa May’s government fiddles while the few forward-thinking people in the party are shooting off in a million directions with their own uncoordinated plans for conservative reform. UKIP have less of an excuse for their current predicament, though. It was always known that they would face an existential moment of reckoning in the event that an EU referendum was secured and won, and they did far too little – probably nothing – to prepare for that moment. And for a single-issue party (or at least a party viewed by many to be single-issue) this was an unforgivable strategic error. I covered and live-blogged the UKIP annual conference in Doncaster back in September 2015, when the referendum had been secured but the official campaigns had not yet officially kicked into gear. I wrote going into the event that this was a “make or break conference”, not because of the referendum but because this was the last, best opportunity to solidify exactly what it was that the party stood for besides secession from the European Union before the referendum and its aftermath would signal the closing of that window. When we look back on 2015, this could be seen as the conference which makes or breaks UKIP. Not in the sense that any careers are on the line today, or that terrible consequences await any missteps made over the next few days. But decisions taken at this conference – and more importantly, the general tone and sense of direction given by the party leadership – could be vital in determining whether UKIP is strongly positioned to survive the turmoil of the next five years in British politics, or if the party is destined to go the way of New Labour. As long as the target of the 2016/2017 Brexit referendum looms ever larger in our sights, the unlikely coalition that makes up UKIP’s support base are likely to continue cohabiting without any real problem. But what happens when the European question is settled? UKIP is a vastly more established political party than it was this time last year, and is almost unrecognisable from the party it was at the time of the last election, back in 2010. And this has been an unquestionably good thing for our stale, consensual politics. However, interested observers will be watching closely for any signs indicating the type of party UKIP is likely to become by 2020. And a lot could ride on the answer. And unsurprisingly, UKIP totally ducked the challenge at their conference. Everybody who wasn’t indulging in the traditional UKIP pastime of shooting themselves in the foot with unnecessary squabbles and gaffes was drunk on referendum fever and in no mood to contemplate any event past June 2016, be that their preferred method of Brexit (a failure which has already come back to bite) or the preferred shape of their party when banging the eurosceptic drum no longer attracts votes. Over the course of the conference I spoke to a number of senior UKIP figures in addition to Nigel Farage, including Mark Reckless, Douglas Carswell and a number of lesser-known but deeply involved activists, and of those people only Douglas Carswell had a vaguely plausible vision for what UKIP could become – a vision that was so at odds with Nigel Farage’s own that Carswell jumped/was pushed out only eighteen months later. Thus the tension between the various different UKIPs was never resolved. The party continued to be a fractious circus tent encompassing a dwindling cohort of libertarian types, a rump of ex-Conservative eurosceptics and an influx of new, more economically left-wing voters and activists. The United Kingdom Independence Party currently draws its support from a number of quite distinct support bases. There are the social conservatives and traditionalists, mostly ex-Tory voters. Then you have the “lost Labour” voters, those who are repelled by the modern Labour Party’s superficial virtue signalling, unquestioning embrace of uncontrolled immigration and perceived lack of patriotism. There is also a significant body of support from the so-called economically “left behind” voters from Britain’s faded coastal resort towns, where pro-UKIP sentiment is very strong. And finally, there are the young (and old) libertarian types – for so long the backbone of the party, until relatively recently. All of these disparate groups are currently joined under the UKIP banner in an uneasy alliance because they share the common goal of a Britain independent of the EU. But what happens when the EU referendum is won (or lost)? What, if anything, will keep these separate groups together in the post-election landscape? That’s the conversation which should have started taking place at this conference. But it is a conversation which has been assiduously avoided by nearly everyone, including the party leader. There was very much a self-sacrificial tone at that 2015 party conference. Nigel Farage seemed to have little concern that the party might burn up in the wake of the EU referendum, no doubt presuming that his own personal prospects would be fine in any event. But nobody else in the party had any excuse for so much complacency. And the personal squabbles and increasingly ludicrous crises to rock the party are partially a result of that failure to plan for the future. As I write, Henry Bolton is giving a statement to the press in Folkestone affirming that he has no intention to resign, and instead proposing a new party constitution – in the hubristic manner of all banana republic dictators in history. Others know the detailed history of UKIP, with all of its personality clashes and policy squabbles, far better than I. But I can’t help feeling a little sad that the most consequential insurgent political party in decades seems so determined to end not with a bang but a whimper.